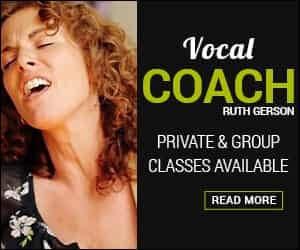 Ruth is an exceptional singer with a powerful and expressive voice. She is insightful and intelligent and has a great gift for sharing her knowledge of the voice and songwriting with her students. 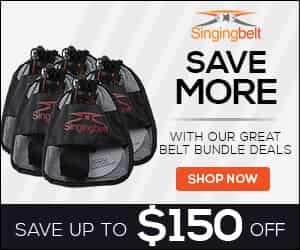 The Singingbelt is ingenious. I’ve seen Ruth work with a singer for an hour and get the results we needed in the studio immediately. Singing begins and ends with the breath. Only a small amount of air is needed to actually sing. It is all the air underneath it that supports the voice. The Singingbelt shows you how to keep the air underneath the voice by keeping the diaphragm in a flexed position. I am loving the Singingbelt. It has given me so much insight into the mechanics of singing and I must be improving because I am getting nice signs of approval from my band mates!